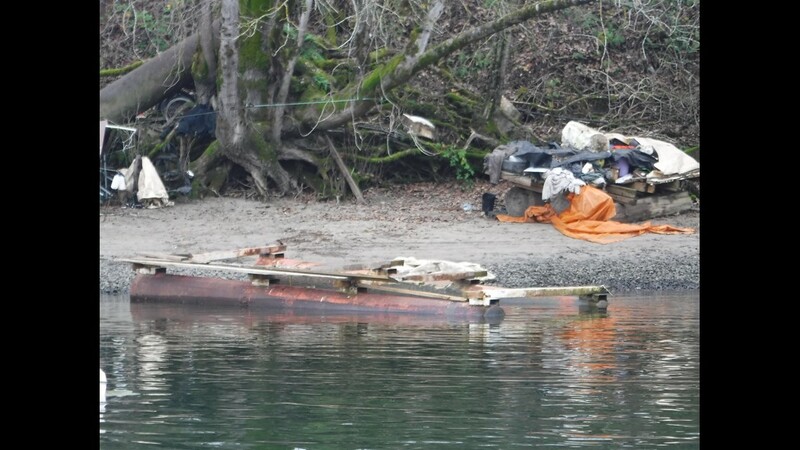 Homeless people are living in old boats that are falling apart in the water. 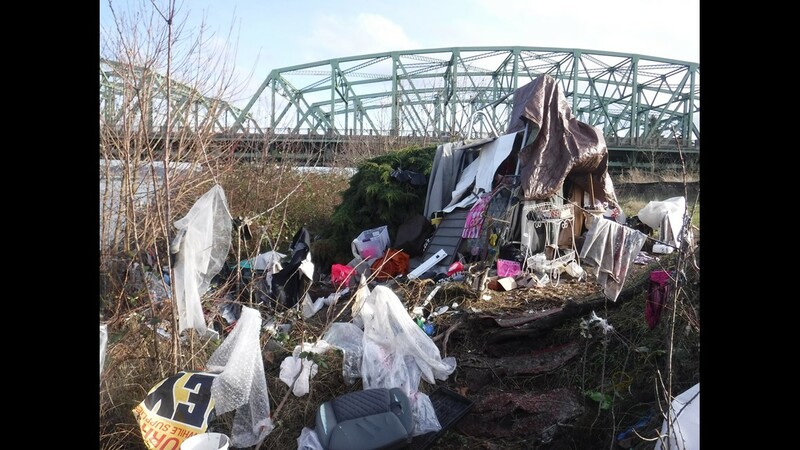 PORTLAND, Ore. — A problem on the streets of Portland and the Willamette River is now spreading to the Columbia River. 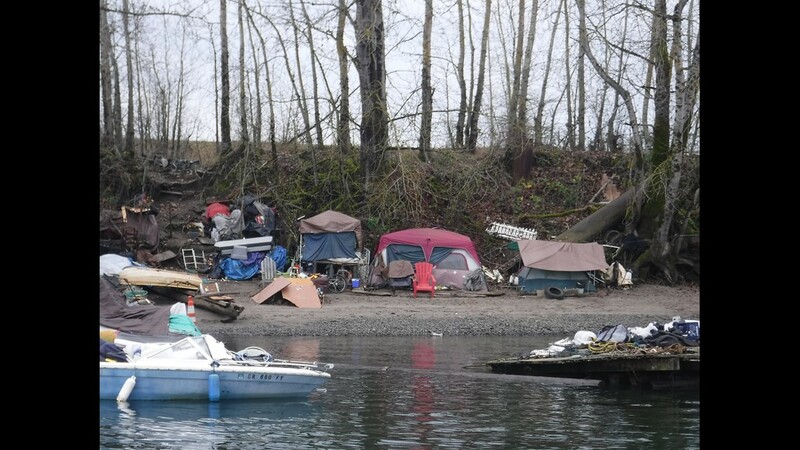 Homeless people who are living in old boats that are falling apart in the water. 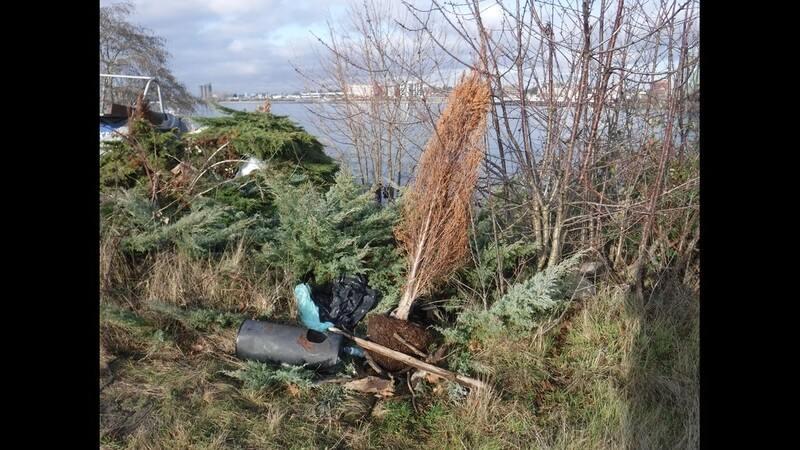 You can't see it from the road along Marine Drive. But photos taken from the water show the mess. 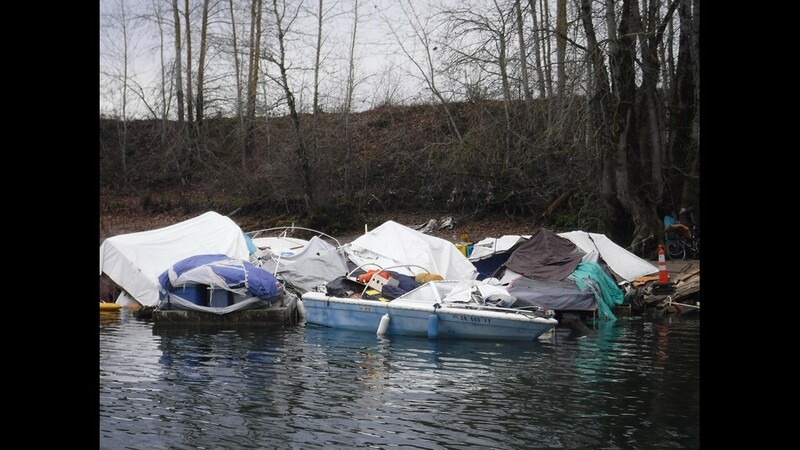 Dozens of junk boats are piled up on the shore across from Hayden Island. 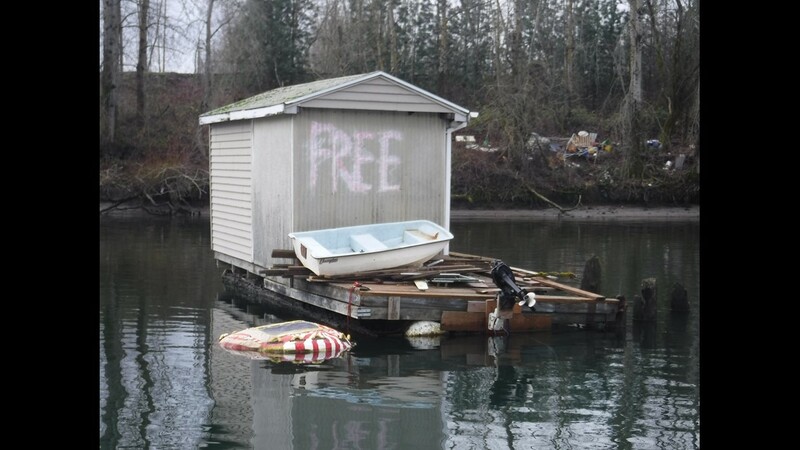 Private sellers have old, broken down boats to get rid of, but instead of paying up to thousands of dollars to have them broken down responsibly, they're putting them online or on the street for "free". 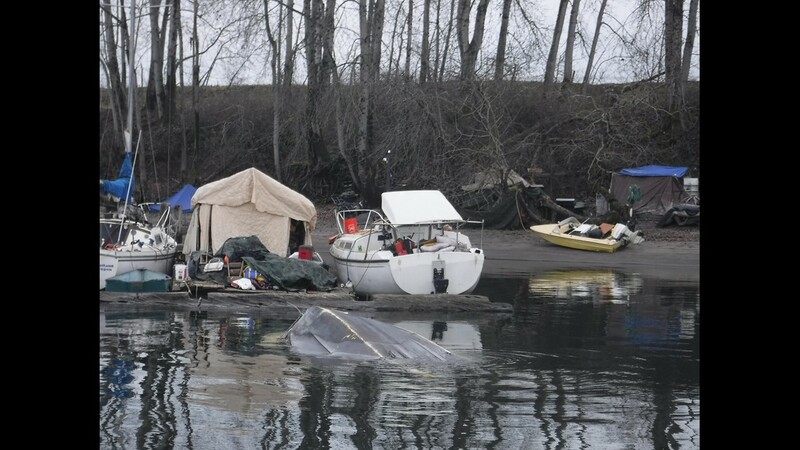 The boats are ending up back in the river as a roof over someone's head. 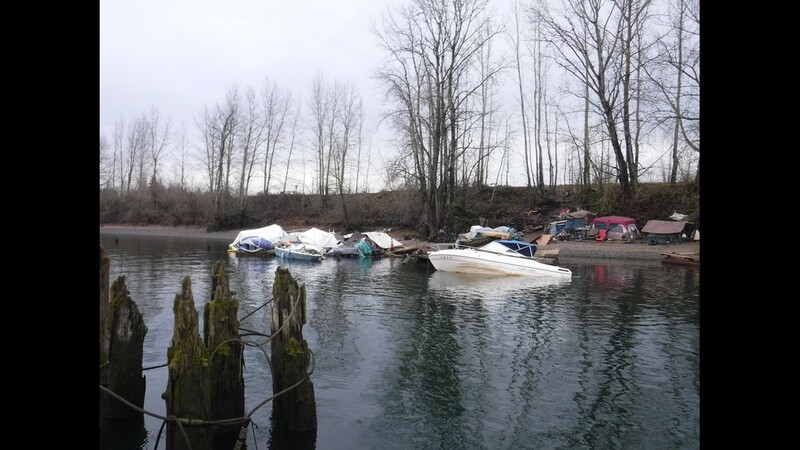 Photos provided to KGW by Walt James with the Columbia Watershed Environmental Advocates show derelict boats tied off to one another, with no working sewage pump. 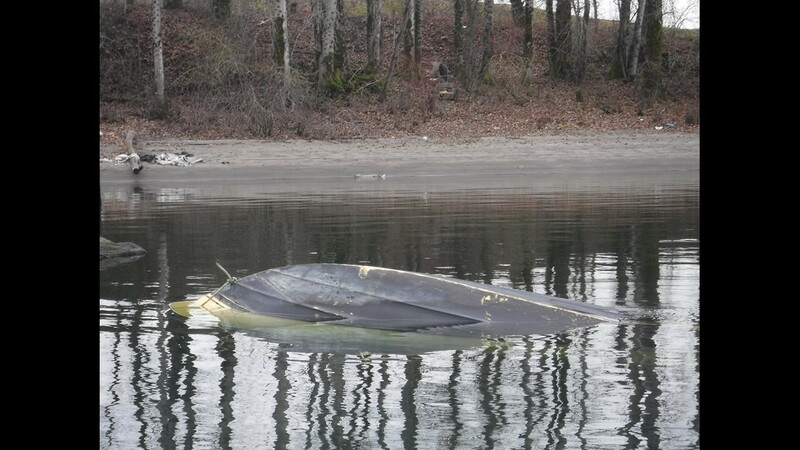 Others are half sunk, leaking fluids into the water. 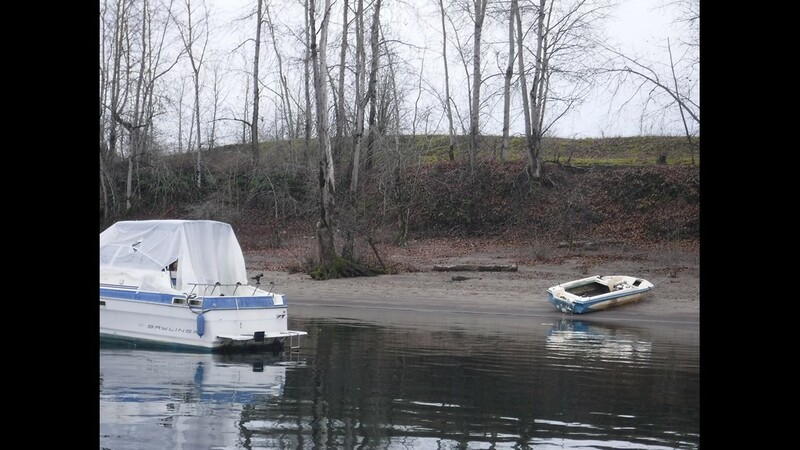 Transient boats in the Columbia River. 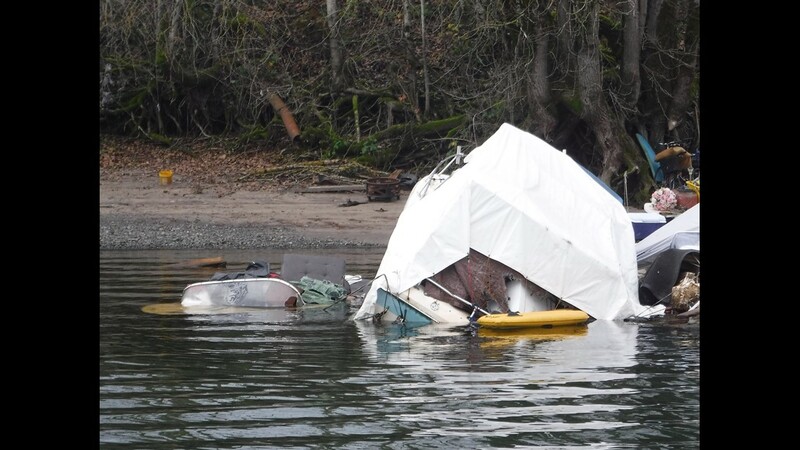 "Most of the boats that were floating are now sunk, there's eight or 10 sunk boats down there," James said. He would know. He's also a scuba diver and tugboat operator. 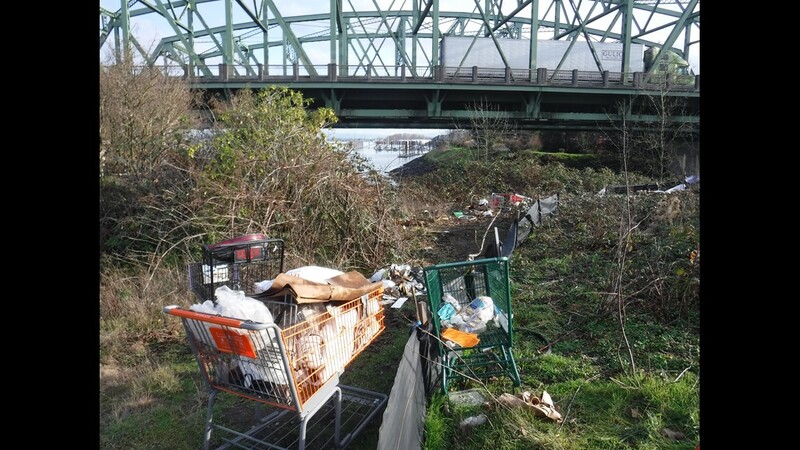 "I regularly travel this route back and forth to the Willamette." 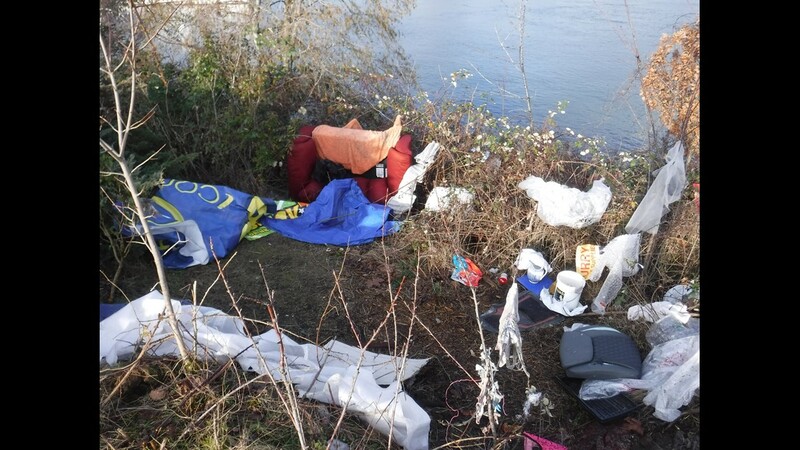 He took more photos last week of where homeless boaters come ashore along Marine Drive. 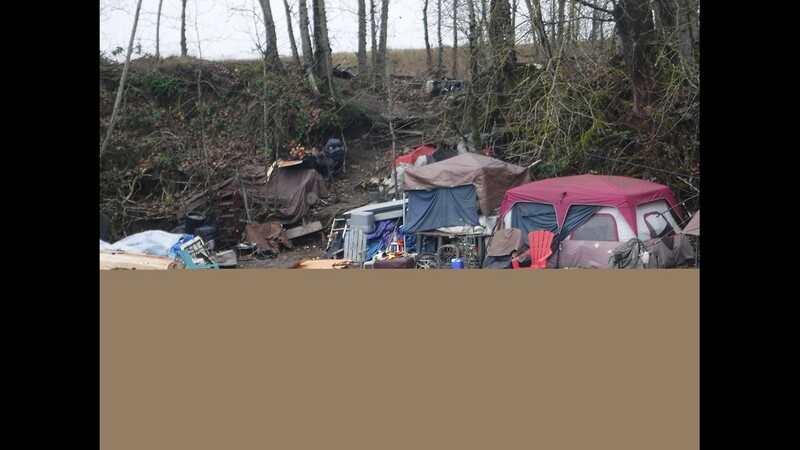 What was a couple of campers and garbage has exploded into a full blown environmental hazard. 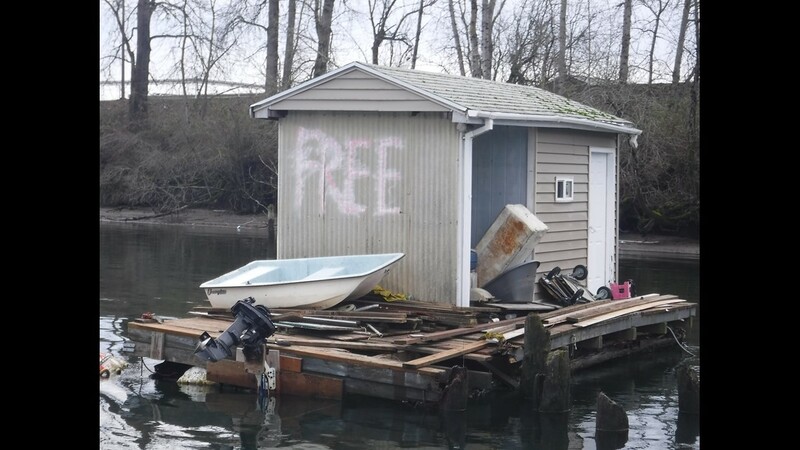 And so has the amount of crime at nearby private floating homes. 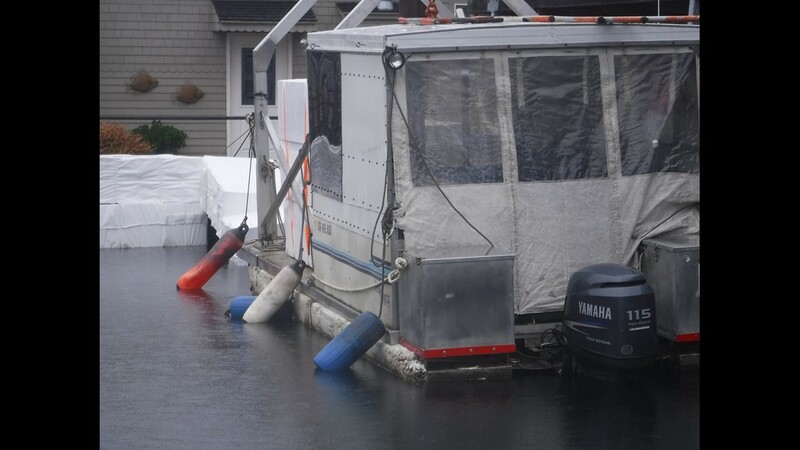 "We've all had things stolen," said Karen Dean, a 23-year owner and resident of floating home in Class Harbor. 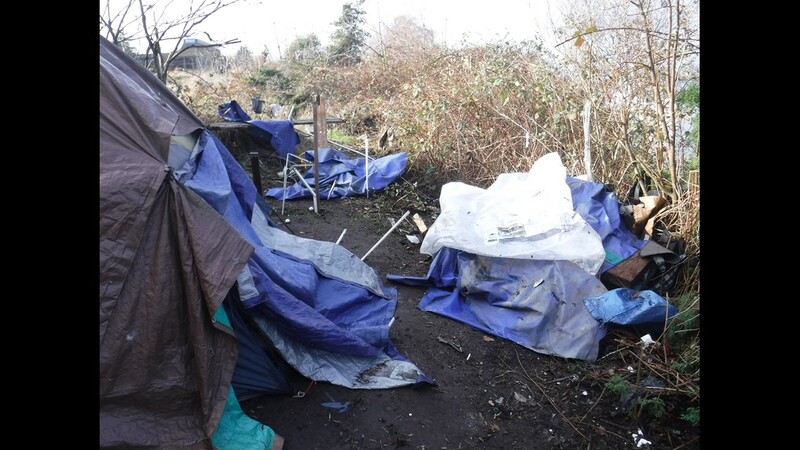 "We've had two boats that have been taken and we found them down river and they've all been stripped." 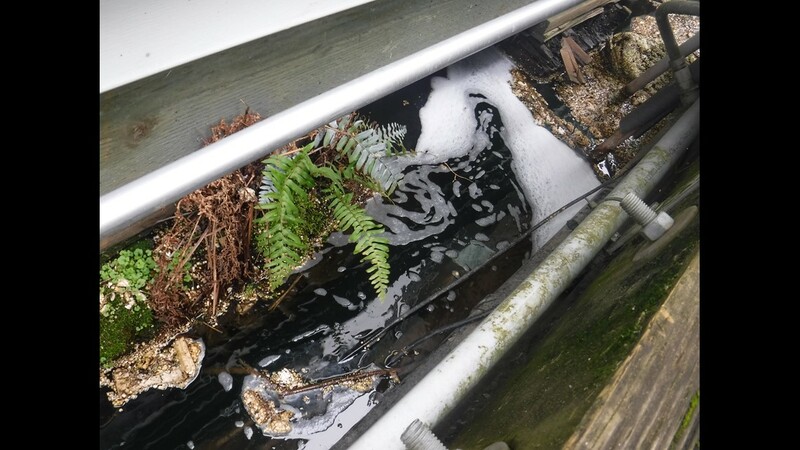 Chris, another resident of the harbor told KGW, "Gas lines have been cut and gas has been stolen in the middle of the night." 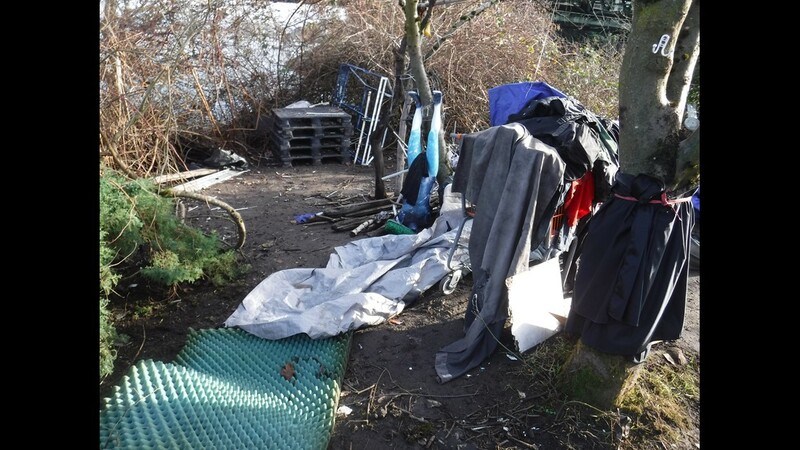 In 2016, our coverage of this homeless problem spilling on the Willamette River kicked in some action from the Department of State Lands, which has jurisdiction of the water. 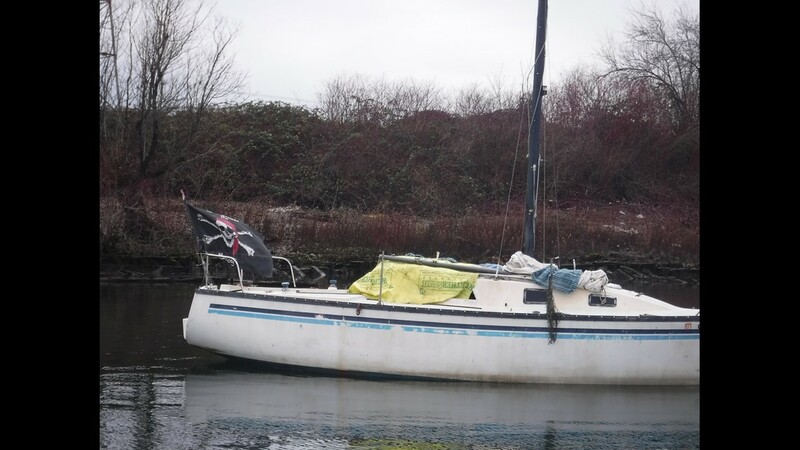 The regulation goes that you can't live aboard your boat, anchored in the same area for longer than one month. 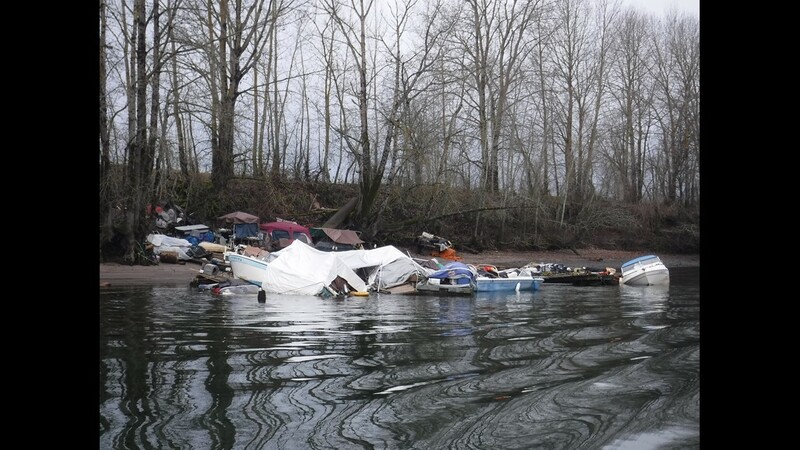 We were there in 2016 as 13 violations were handed out to homeless people who had illegally anchored boats in the river. 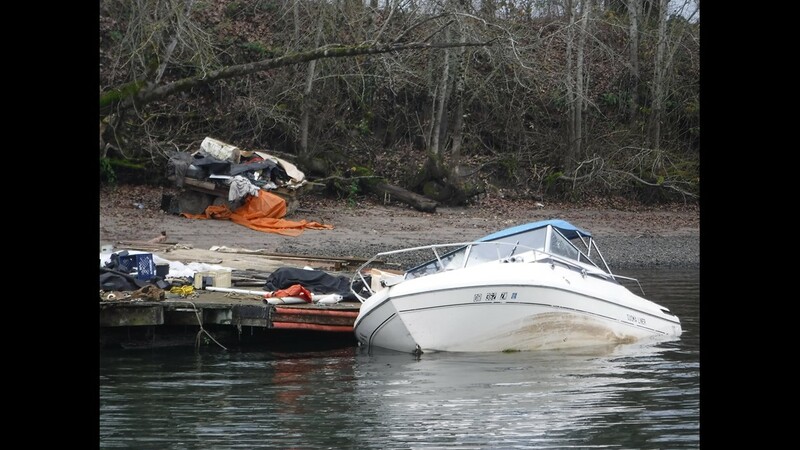 As of today, three years later, only 11 more boats have been cited, despite dozens that are clearly out there. 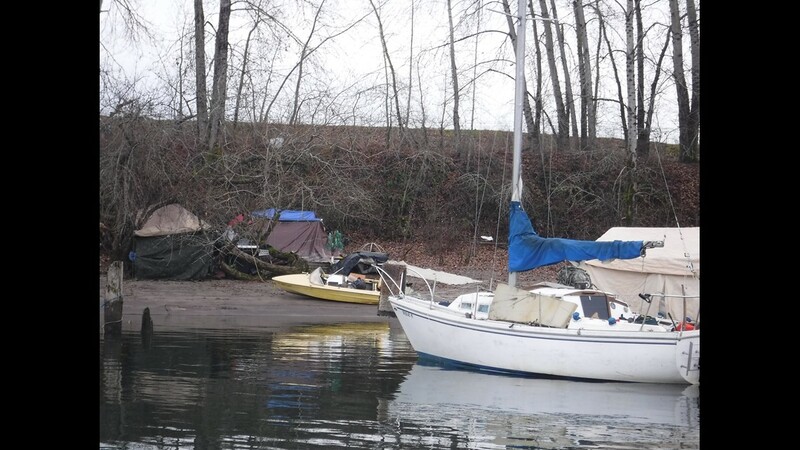 Ali Hansen with the Department of State Lands told KGW that a total of five boats have ever been seized by the state. 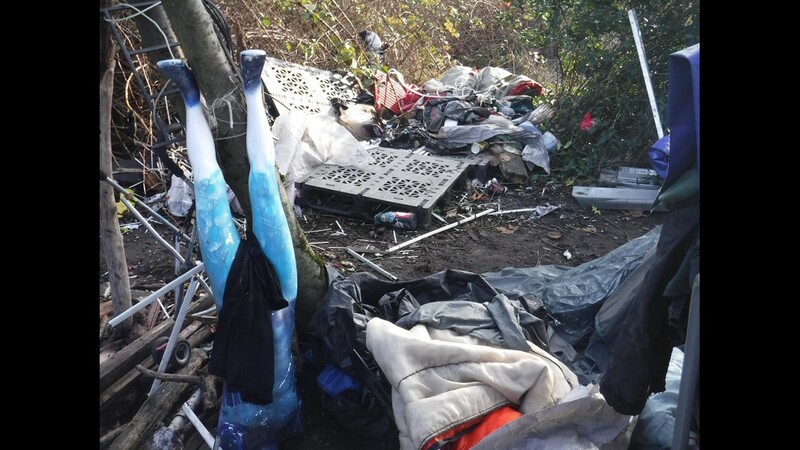 She says three more will be forcibly removed soon. 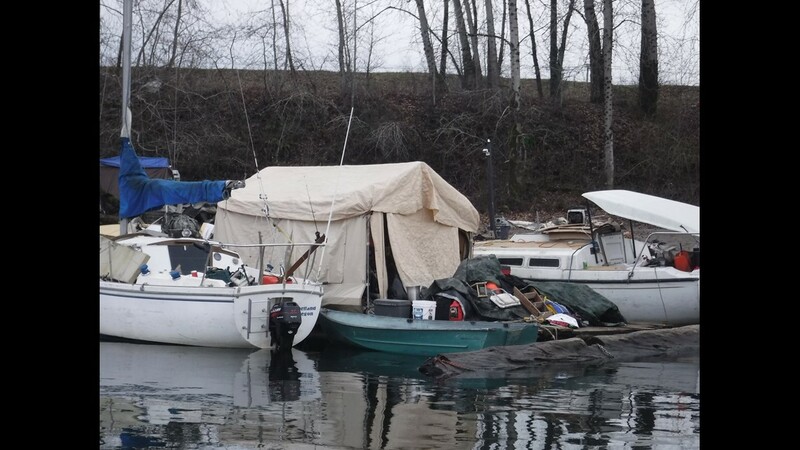 It's a more obvious problem on the Willamette, where more people driving and boating by can see these boats. 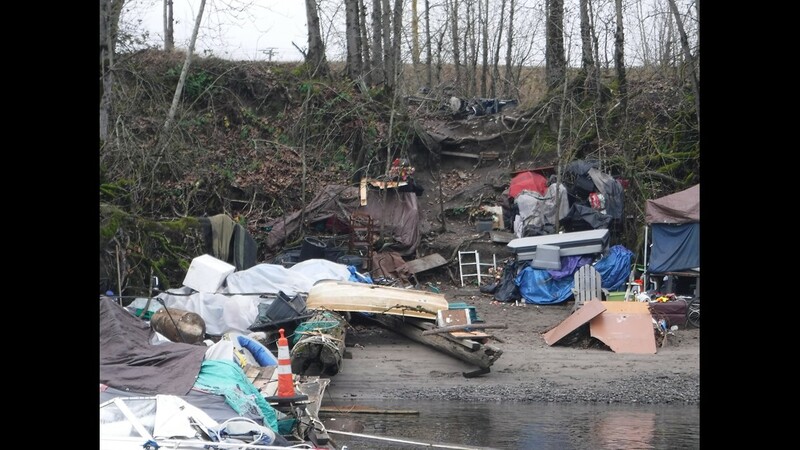 But on the Columbia, they are tucked away behind trees, below Marine Drive, and slow to no action by the government isn't cutting it for people worried the river can't bounce back from this. 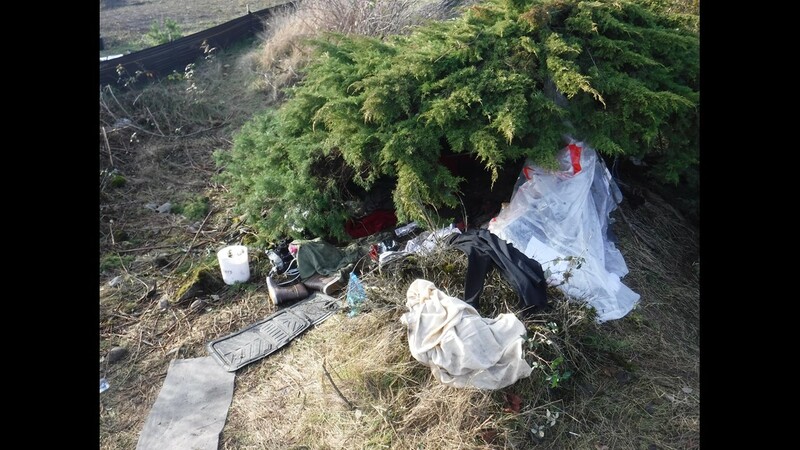 "The sheriff comes down here and puts this great, laminated letter from the Coast Guard or State Lands and it's an absolute waste of time," James said. 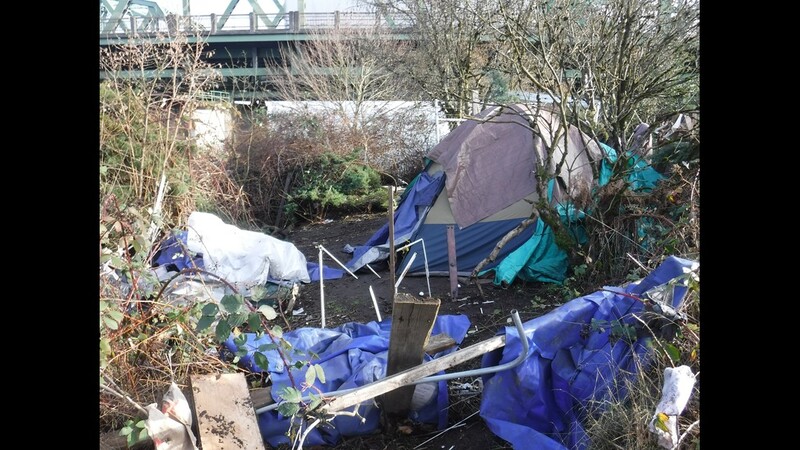 "You're giving notice to someone who has no resources or ability to comply with these lawful, legal demands and they're just wasting money. 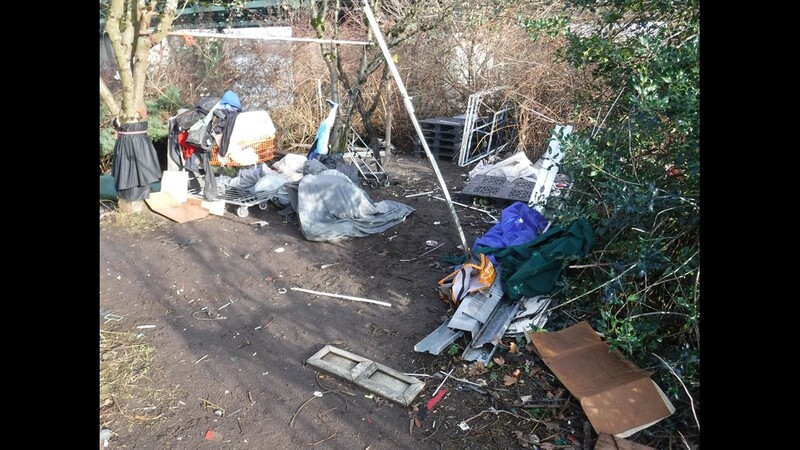 When it comes down to it, you gotta go down there and clean it up." 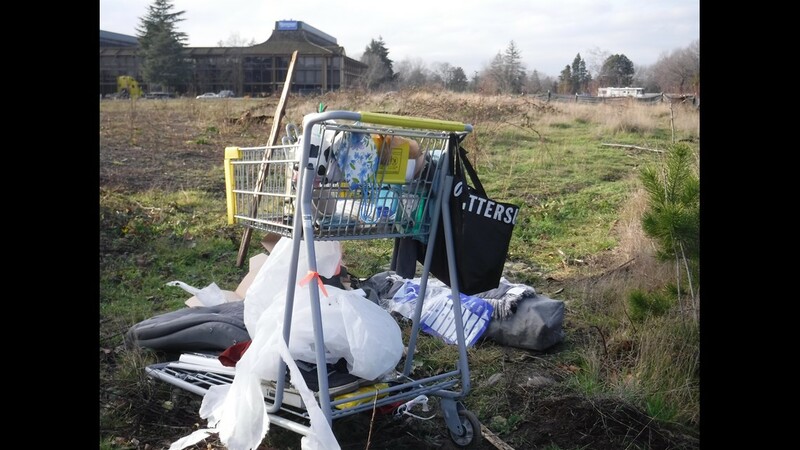 State Lands says it does have plans to do more compliance checks in 2019. 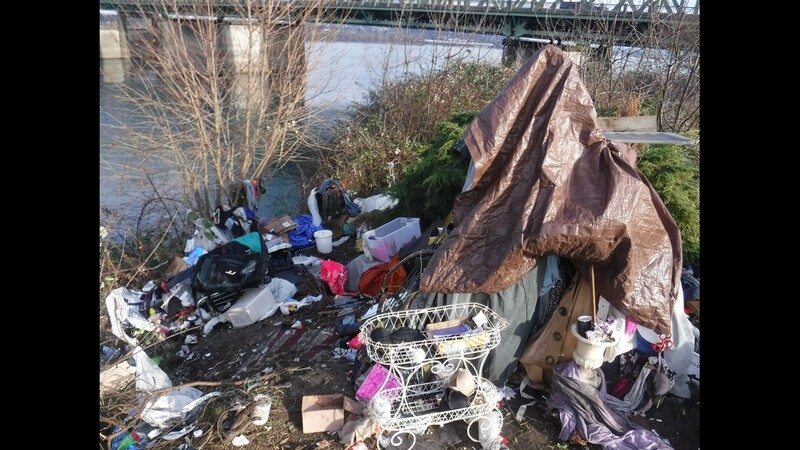 But with a limited staff, and reliance on the Multnomah County Sheriff's Office River Patrol to deliver the notices to each transient boater, it's an extremely slow process. 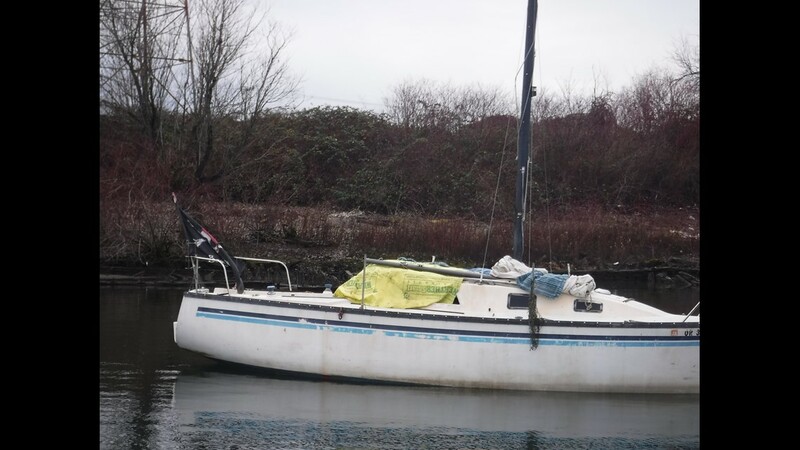 The department is looking at how states like Alaska and Washington, as well as British Columbia, handle their derelict boat problems in order to better Oregon's response.